Marc Randazza Crystal Cox Story: The First Amendment TRUMPS Trademark. Yet First Amendment Attorney Marc Randazza gets court to STEAL massive gripe sites from Blogger Crystal Cox claiming "Trademark" Violations. Talk about Abuse of Process and Abuse of Privilege as an Officer of the Court. The First Amendment TRUMPS Trademark. Yet First Amendment Attorney Marc Randazza gets court to STEAL massive gripe sites from Blogger Crystal Cox claiming "Trademark" Violations. Talk about Abuse of Process and Abuse of Privilege as an Officer of the Court. "This session will address the tension between constitutional protections for expressive works and the Lanham Act’s prohibition on trademark infringement, unfair competition and false advertising. Our speaker will discuss the expanding popularity of the Rogers v. Grimaldi First Amendment defense test and how his firm successfully used the Rogers test to defend a video game industry client in a trademark infringement action." "Finally, certain parodies of trademarks may be permissible if they are not too directly tied to commercial use. The basic idea here is that artistic and editorial parodies of trademarks serve a valuable critical function, and that this critical function is entitled to some degree of First Amendment protection. The courts have adopted different ways of incorporating such First Amendment interests into the analysis. For example, some courts have applied the general "likelihood of confusion" analysis, using the First Amendment as a factor in the analysis. Other courts have expressly balanced First Amendment considerations against the degree of likely confusion. Still other courts have held that the First Amendment effectively trumps trademark law, under certain circumstances. In general, however, the courts appear to be more sympathetic to the extent that parodies are less commercial, and less sympathetic to the extent that parodies involve commercial use of the mark." When Does the First Amendment Trump Trademark Law? "In a blog post titled “NACCP: National Association for the Abortion of Colored People,” Radiance Foundation Inc. (“Radiance”) stated that the National Association for the Advancement of Colored People (“NAACP”) holds “all things liberal, most things socialistic, and nothing pro-life.” On April 24th, 2014, the U.S. District Court for the Eastern District of Virginia found Radiance liable for trademark infringement and trademark dilution for its use of NAACP’s trademark in its blog post. Radiance Found., Inc. v. NAACP, 2014 U.S. Dist. LEXIS 57431. The court ruled that Radiance violated the Lanham Act, provisions 15 U.S.C. §1114 and 1125, as well as Virginia Code §59.1-92.12(i), VA. Code Ann. § 59.1-92.12(i) (West 2011). Radiance appealed, and the EFF and ACLU filed an amicus brief in support of Radiance. Building on three prior Circuit Court cases holdings that “artistic or political use of a trademark” and “literary titles” do not violate the Lanham Act “so long as the level of relevance to the underlying work is merely . . . above zero,” the EFF and the ACLU argue that Radiance’s use of the term “NAACP” in an article title was not infringing on a confusion theory. Rogers v. Grimaldi, 875 F.2d 994 (2d Cir. 1989), Mattel, Inc. v. MCA Records, Inc., 296 F.3d 894 (9th Cir. 2002), and E.S.S. Entertainment 2000, Inc. v. Rock Star Videos, Inc., 547 F.3d 1095 (9th Cir 2008). The brief reasons that “Radiance’s use of NAACP’s trademark in the title of an article was directly relevant to the article’s political goal and did not explicitly mislead as to the source or content of the article.” The brief emphasizes that Rogers, Mattel, and E.S.S. Entertainment showed “that the First Amendment broadly protects cultural reference, commentary, criticism and parody, including when such speech uses anther’s trademark.”"
"TRADEMARK RIGHTS GIVE WAY TO FREEDOM OF EXPRESSION"
"[A] recent federal court decision from Virginia would allow trademarks to trump speech. The NAACP responded with a letter to Radiance threatening a lawsuit if it did not cease “using” the NAACP’s trademark. Radiance called on the courts for protection, asking for a declaration the blog post was protected speech. After a bench trial, Judge Raymond Jackson ruled against Radiance, finding that Radiance’s post infringed the NAACP’s trademark …." 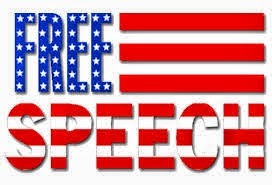 Especially in Gripe Sites but NOT when it comes to First Amendment Attorney Marc Randazza Suing Blogger Crystal Cox to retaliate, to suppress speech, to intimidate, to defame and paint her in false light to the world. Then Trademark is KING and Marc Randazza uses his power over the court process to take massive online content for 2 years and counting. 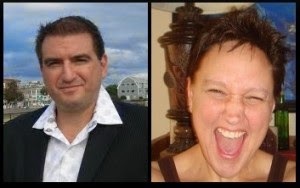 Marc Randazza stole blogs, domain names, search engine ranking and all with lies to the courts and cries of Trademark VIOLATION which were flat out FALSE. Marc Randazza claimed my Gripe sites violated his ALLEGED "Trademark". if you are Reading this and are an Attorney that wants to represent me in Randazza v. Cox, Please eMail me at SavvyBroker@Yahoo.com; I have a GREAT Counter Claim and you could make some money.